I’m Not Writing Right Now. And That’s Okay. Just keep writing. You should be writing. Write a little (or a lot) every day. I can’t count how many times I’ve heard these pieces of advice. Or repeated these things to myself as a type of mantra. Or pinned versions of them on my Pinterest page and sent them to friends who specifically asked for me to crack the whip on them when they weren’t writing. But right now, I’m the one who’s not writing. And you know what? Sometimes we need to make writing rules for ourselves. A writing rule that I hear often is, “Set aside a block of dedicated writing time and use that time for writing, no matter what.” I sometimes use this rule, and I pop in my earbuds, turn on my music, set a timer, and mostly ignore my surroundings (except for kid emergencies, or fire alarms, or if someone magically appears with a gift of coffee). If writing is a priority, you have to create rules to keep up your productivity. But there will be days when you have to bend those rules because other aspects of your life need attention too. Repeat after me: It’s okay. I teach at a university, and as it’s the beginning of a new semester, I’m super busy with my classes. I have an academic paper that I need to revise by a hard deadline next month. Early December threw me a couple of curveballs with health issues I had to address. I spent a good chunk of the holidays enjoying time with family. While these may sound like writing excuses, they aren’t, and you don’t need to carry extra guilt in thinking that tending to your other priorities means you’re failing at writing. 2. You come first. Really, you do. We need to take care of ourselves so we can better take care of our people and our things, and this includes our writing. 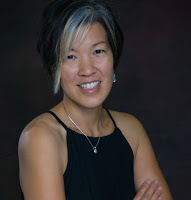 Stress, anxiety, depression, and burn-out are all realities that we often face as writers (and as human beings in general); see Elaine Vicker’s lovely post earlier this week on coping with writing-related anxiety. I sometimes tell myself that I’m a better mother/ wife/ human being when I get time to myself so I can write every day, but guess what I’ve discovered? This isn’t always true. Sometimes I get so stressed out about all of the things I need to do that forcing in writing time is unproductive when I finally get to it. I think what is true is that I’m a better mom/ wife/ human when I get some time during the day to decompress, period. 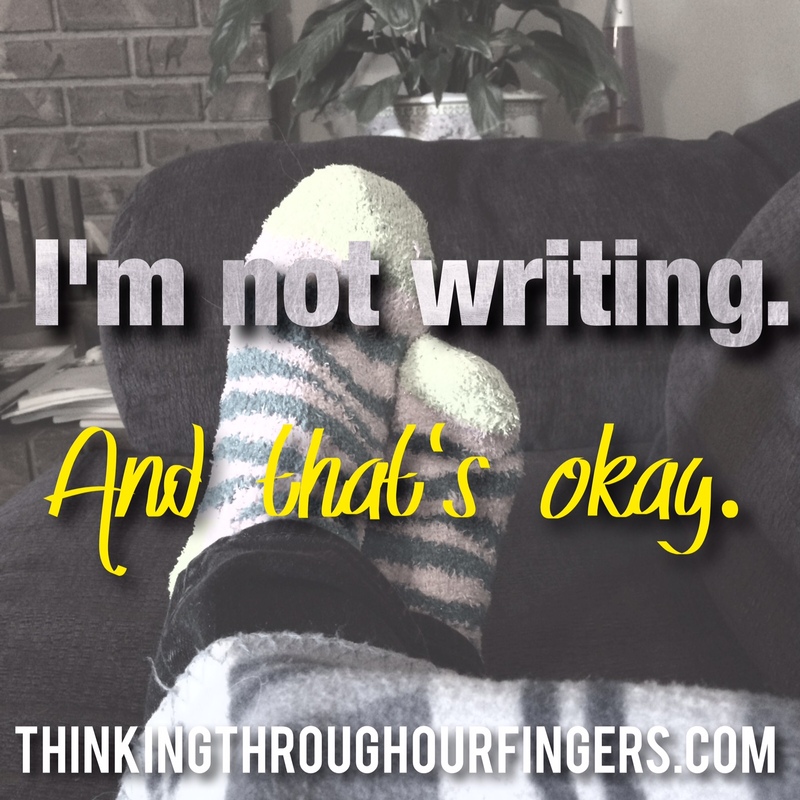 Sometimes it’s through writing, but sometimes I need to put my fuzzy socks on and my feet up, listen to music, and relax (What a concept!). Sometimes I need to decompress by getting down on the floor and playing with my kids (Go figure!) Sometimes my husband will come up to me when I’m staring at my laptop and tell me he’s found a romantic comedy on Netflix that he thinks we’d both enjoy (Wait… what? Yes, this has actually happened! ), and how on earth could I ever pass that up? I’ve fallen in and out of love with my WIP for over a year and a half. Thinking about it in these terms is almost enough to make me feel disillusioned with the whole story. Almost. But in order for me to write, the story has to be alive in my mind with my characters actively speaking to me, and lately, I’ve had trouble reaching them. Oh, I have all of the playlists and Pinterest boards and Instagram accounts that I typically use for inspiration. I even used a cover model that looked just like my male main character so I’d have the cover for inspiration. But none of these things have been magic, and this story may be the most difficult one I’ve ever written. So sometimes I put it down and walk away. Once I put it down and wrote an entirely different book before picking it up again. Maybe you need to walk away and shift projects for a bit. Or like I’m doing right now, maybe it will help to tinker with an outline and restructure the story. Or write a new beginning, or two. (Or in my case, five). Maybe you need a break to go out and experience some real-life inspiration and then come back. Sometimes today simply isn’t a writing day. And that’s okay. Totally and completely and 110% okay. I’m not writing today, perhaps not this entire week. Maybe not even for the bulk of this month. But I’m a writer, and I always will be.